To Serve Alaska by Providing Family and Child Centered Services With Unconditional Care. Who is FCSA and who do we serve? Welcome and thank you for visiting our website. FCSA is a nonprofit 501 (c) (3) corporation founded in 1989. The original founders of the organization were Fairbanks Alaska community members with a diverse range of professional backgrounds committed to helping children with a wide spectrum of behavioral health issues and mental illness. At inception FCSA was a very small organization that consisted of one day treatment program and 15 staff members. Today FCSA is a large diverse organization with over 200 employees and a provider of services in Fairbanks, and the surrounding communities, as well as, the Mat-Su Valley. FCSA serves 200 children and young adults daily and 400 annually. FCSA services are not limited to those residing within the communities that FCSA delivers treatment in; our service delivery reach is much greater. In particular because of our specialty residential programs and aftercare support services clients from all regions of Alaska relocate to receive treatment services. FCSA primarily serves children and young adults, ages 5 through 17, but as needed and circumstances permit up to age 21 for young adults requiring transitional assistance to adulthood. The types of treatment services FCSA provides with few exceptions cover the complete scope of mental health treatment needs for children and young adults. The range extends from outpatient, to day treatment, to independent living skill development, to foster care, and residential short-term and long-term. FCSA is managed by a nine member Board of Directors and it has a proud history of excellent management which has been the base on which the organization has been able to successfully expand and provide additional services. FCSA was one of the first behavioral health treatment organizations in Alaska to be nationally accredited by the Commission on Accreditation of Rehabilitation Facilities. FCSA was also one of the first organizations in Alaska to be licensed by the State to recruit, establish and monitor foster homes. It has been our goal to have FCSA’s workforce reflective of the families and children we serve and we are extremely pleased that we have been able to achieve that goal with a workforce that is not only experienced and dedicated but also culturally diverse and reflective of those we provide services to. The future holds many challenges for FCSA but we have confidence and look forward to meeting and overcoming those challenges. FCSA’s management team provides a solid foundation for the full spectrum of services provided by our organization. Each managerial department works to ensure that every program is able to address the needs unique to the services they provide. FCSA management is hands-on, involved in the daily operations of providing quality services to Alaskan youth and their families. The management of FCSA is pleased to have an experienced, dedicated and committed managerial team who continually strive to ensure that all services provided to our clients are seamless and superior in nature. FCSA’s Executive Director provides a direct link to the Board of Directors and a liaison to the communities in which services are delivered. The Executive Director is responsible for removing barriers to service delivery, developing and maintaining working relationships with state, federal and local agencies, funding procurement, and ensuring program goals and objectives are achieved and sustained. The Director of Administrative Services fulfills a large number of responsibilities including fulfilling the duties of the FCSA Director of Health and Safety and providing support to the Board of Directors. FCSA’s Fiscal Department has been characterized as a cornerstone of the organization’s success over the years, providing consistently sound fiscal management. The Fiscal Department is operated under the direction of a Chief Fiscal Officer who ensures that all funding is efficiently and effectively expended. The Board of Directors oversees an independent audit report, conducted annually on all fiscal operations. The Chief Fiscal Officer fulfills a large number of responsibilities including the duties of FCSA Risk Manager. The Quality Assurance Department is responsible for conducting internal reviews and management of all client files to ensure they comply with all accreditation, state licensing and Medicaid regulations; administering biannual consumer, community and staff satisfaction surveys, and overseeing all program forms for consistency, uniformity and regulatory purposes. The Director of Quality Assurance fulfills a large number of responsibilities including the duties of FCSA HIPAA Privacy Officer. FCSA maintains, within the management structure of the organization, a clinical department that is overseen by the Director of Clinical Services. The function of the department is to assure that all treatment services are delivered in a quality manner and in accordance with nationally recognized best practices of the behavioral and mental health treatment profession. Another key function of the department is to assure that all clinical staff receives regular and consistent training and professional enhancement opportunities to assure the professional growth of the staff and consistency in treatment across all programs. The Human Resources Department ensures all employment policies and practices are fair and equitable and in compliance with regulatory agencies. The Human Resources Department also oversees FCSA’s employee health plan, ensures staff training interests and needs are provided for, disseminates employee information, and collects affirmative action data. FCSA’s Training Department is dedicated to providing quality training for all employees and foster parents licensed through FCSA. Trainings provided include: new-hire orientation, CPR/First Aid, Tact II, cultural competency as well as a vast array of topic areas applicable to employees and families working with children and youth that are in need of behavioral health or mental health services. The goals listed were established and/or reconfirmed at FCSA’s 2017 Board of Directors and management Strategic Planning session . In May 2016, FCSA acquired a 120-bed Residential Treatment Center in Fairbanks providing services to youth ages 12 to 18. 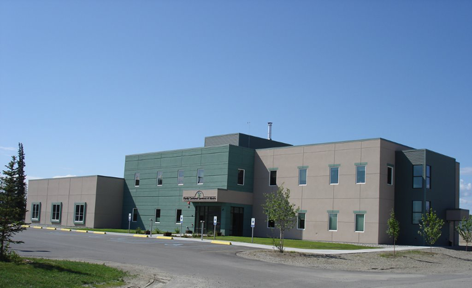 Presently the facility is underutilized and the community of Fairbanks has a number of behavioral health service needs that are unmet. In recognition of these facts, a goal was adopted to establish a secure unit within the facility to serve youth and find other ways to use the facility to meet other unmet community behavioral health needs. A goal was established to engage the services of a professional branding company to review the current public relations components of FCSA and make a recommendation on how to best consolidate and standardize them in the most efficient and effective way so as to develop an identifiable brand name, logo, message and public outreach campaign. This prior year’s Strategic Planning Meeting’s goal was reconfirmed as a goal that we should continue moving forward on as soon as the management determines that FCSA possesses the financial means to achieve it. It was further established that the site that the facility would be constructed on, is the property adjacent to our primary business location at 1825 Marika Road which houses the YESS Secondary Day Treatment School. The construction of additional therapeutic group homes prior year’s strategic planning goal was reconfirmed because it was established that there is still a pressing community need for the services. The management was directed to proceed with detailed planning to construct additional group homes and expand the program when it is determined FCSA has the financial means to do so. In response to the confirmed increased demand for early preventive mental health treatment out-patient services for children and young adults in the Mat-Su Valley, the goal to expand services to meet demand was established. It is an ongoing goal to upgrade and adjust our medical software as needed to meet the continual federal and State changes to Medicaid and private insurance documentation requirements. The ongoing goal established in 2010 to reduce corporate debt and maintain healthy debt to asset ratios, to help assure that FCSA remain financially healthy was reconfirmed. This goal has no targeted end date. This is an ongoing goal that was established when FCSA was first accredited in 2004 to assure that maintaining accreditation is a high priority for the organization. This goal was discussed and reconfirmed at the Strategic Planning Meeting to highlight the importance of maintaining FCSA’s accreditation and the improvements in quality of services it brings to the organization. This is a long-term visionary goal established in 2006 to create a recreational camp/outdoor program in interior Alaska was reconfirmed. It is intended that the program would be the base from which to provide year-round healthy outdoor activities for children enrolled in any of FCSA’s treatment programs. This goal has no targeted completion date. This is a long-term visionary goal established in 2008 with the ultimate objective of creating an endowment; that will allow the organization to have greater financial independence, greater flexibility with the types of services they will be able to provide and reduce the inefficient administrative cost connected to federal and State funding sources. This goal has no targeted end date. This goal was established to assure that FCSA’s management is actively developing strategies and systems, and identifying ways to be prepared for the changes to the behavioral health and Medicaid service and payment system now in progress at the State level. The changes will include an introduction of a managed care company into the State of Alaska. The overarching goal is to reduce negative impacts on the agency as result of these changes.